home → Loans → Loan Basics → What Is a Certificate-Secured Loan? A certificate-secured loan is a type of loan that is offered at most credit unions. Here are the basics of a certificate-secured loan and how it could benefit you. A certificate secured loan is a personal loan that allows you to borrow against your savings account certificate with a credit union. You will provide the certificate as collateral, and then you will be able to borrow a certain amount of money. In many cases, you will be able to borrow as much as 100 percent of the available funds in your account. 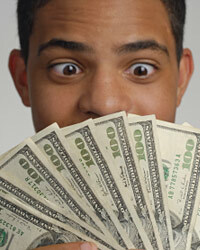 However, in some cases, you can borrow as much as 150 percent of your available balance. With this type of loan, you will be able to borrow money for a variety of projects without risking the money in your savings account. Many people do not wish to touch the money in their savings accounts, and this type of loan provides them with this option. In addition to the safety of your funds, you will also be able to continue to earn interest on the money in your account. This will help offset the cost of the loan as well.